At StrikeForce Fitness, our StrikeFit Kickboxing program will provide you with a high intensity and powerful workout. StrikeFit is a kickboxing heavy bag workout unlike any other, which involves proper striking to a heavy bag, focus mitts, and thai pads and is supplemented with strength training, body weight exercises, plyometrics, functional movements, and mobility work. Not only will you learn real krav maga striking and striking combos, as well as develop a survivor mentality, confidence, and mindset, but you will burn lots of calories, get in shape, and have fun doing it. Each class is designed by our world class instructors, who will set the appropriate pace per class. We guarantee you will be taught this high intensity workout in a safe and friendly environment. We create a fun and welcoming atmosphere for everyone; all fitness levels and ages are welcome! Our classes are second to none. 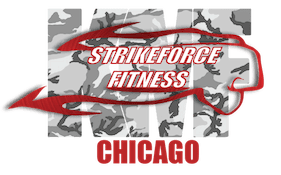 Here at StrikeForce Fitness, your success is our success; and we promise to not only meet your fitness goals, but exceed them! We take pride in our programs because they truly do work. Whether you are a kickboxing pro, or first timer, our classes will kick you into the best shape of your life. Get serious about your fitness today! All you have to do is fill out the short form on the right side of this page, and we will take care of the rest! We are looking forward to getting you in the gym.